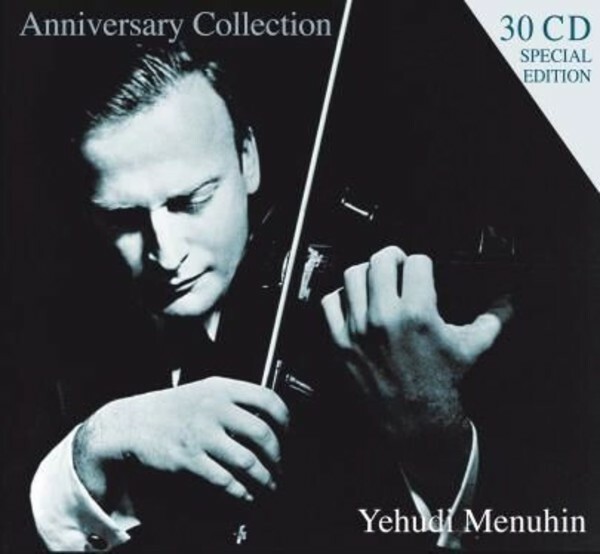 This superb 30 CD box set presents 30 carefully selected original albums (with original covers) by the world-famous violinist, conductor and humanist Yehudi Menuhin. It includes outstanding recordings of his favourite repertoire by Bach, Paganini, Beethoven, Brahms, Mendelssohn, Bartok and many others. Plus excellent contributors: Vienna and Berlin Philharmonic Orchestra, Furtw�ngler, Boult, Barbirolli, Dorati and others.